These little differences between distros (package managers, system tools, desktop environment) form the basis of preference for Linux enthusiasts, but… they’re completely irrelevent to outsiders who make computing decisions on a completely different set of criteria (ideology, need for apps, shiny hardware). And the OSR is like that. Outsiders can’t grok the difference between the retroclones, even if those differences are fairly significant. 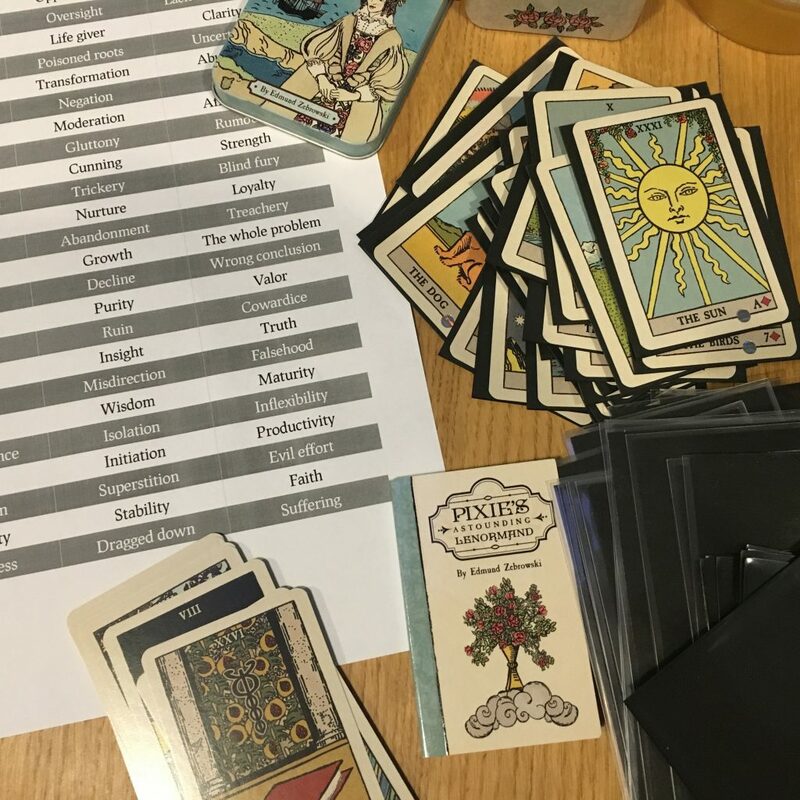 Their decision to look at OSR products comes from a different set of decision-making criteria (ideology, community they play with, style, genre, etc.). 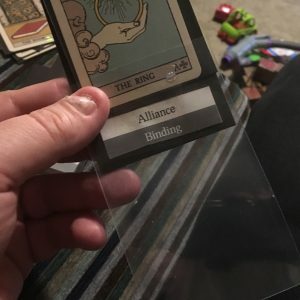 What do my friends play/like? What products are available in the shops? What settings appeal to me? What community do I identify with? And so on. Yes, some of these have nothing to do with system — but they’re fair, high-level strategic decisions on which game to invest time in. By now you’re thinking: what the hell has this got to do with Whitehack? 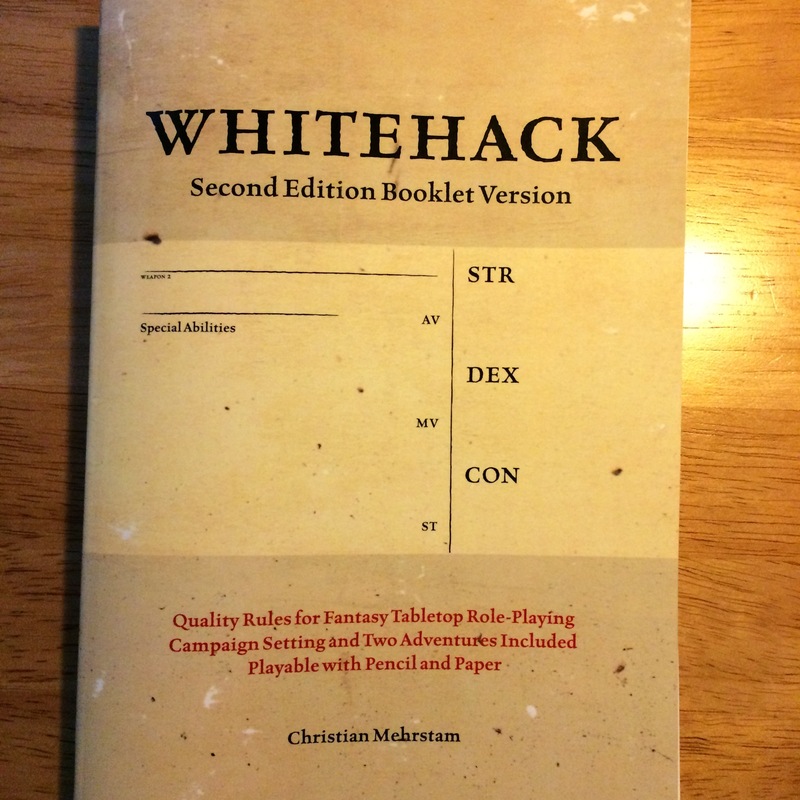 Christian Mehrstam’s Whitehack speaks the language of OSR — “zero edition roots”, streamlined rules, implied conversions from other OSR sources. Those markers help the OSR types identify this game as part of that family of games, and therefore something to be curious about. If that’s you, check out Sophia Brandt’s 7-part study where you can get the information you need to decide how Whitehack differs from your favourite OSR beast. 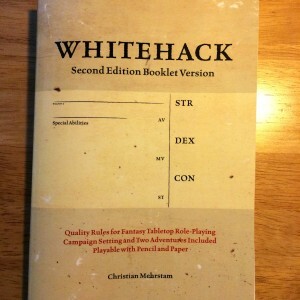 For the wider RPG audience for whom Whitehack is “just another D&D game” there’s not much reason to seek out those differences, and that’s a shame. So here’s where I break it down. 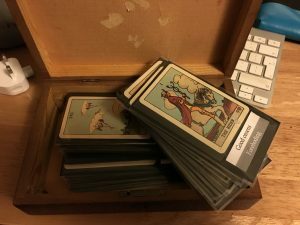 Because this isn’t only an OSR game, it’s a conduit between the OSR and 90’s minimalist designs which also understands the indie drive towards emergent setting. You can negotiate for advantage at any time. When you negotiate for advantage, you explain where the fictional source of that advantage comes from. The first principle is dear to my heart and core to playing light freeform-style games such as Everway and WaRP/Over the Edge. But it’s the second that drives the emergent setting, growing the world over time. That same principle lies at the heart of indie darlings Apocalypse World and Burning Wheel. Nobody ever comes “clean” to a game or a genre. Genres are formalised answers to historical social needs, not just containers for stereotypes, tropes and typical trappings… Genres run much deeper. For example, science fiction answers the need to shed new light on common beliefs and conceptions. 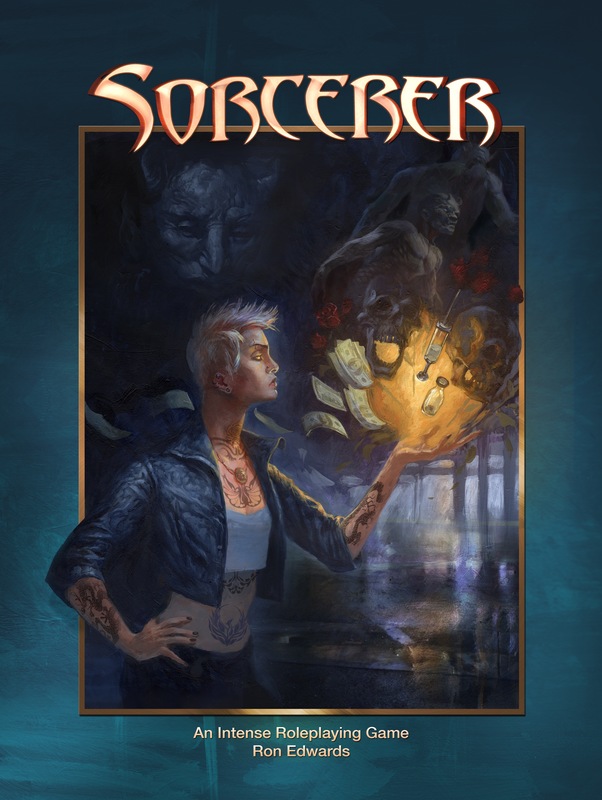 From the outset Whitehack makes the correct assumption that the reader has their own biases and experience with the genre; it doesn’t work against that, rather provides a framework for emergent setting. 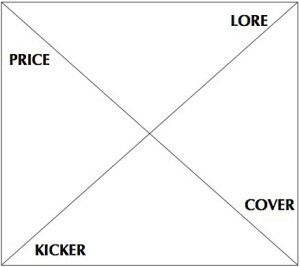 Whitehack’s character classes are not vocational but only imply a core activity (Deft, Strong and Wise). 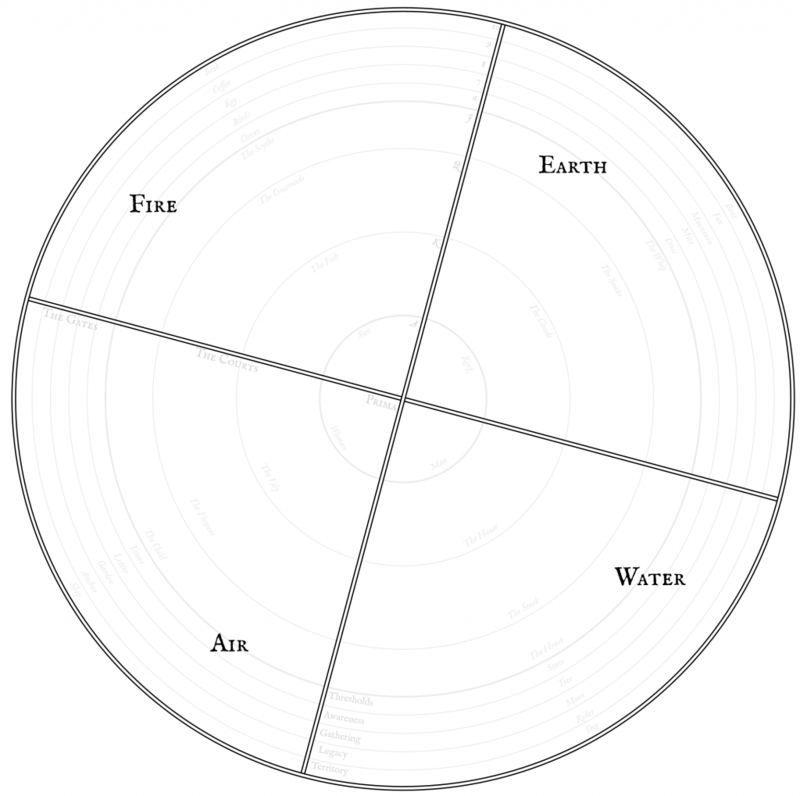 The book encourages the creation of e.g. 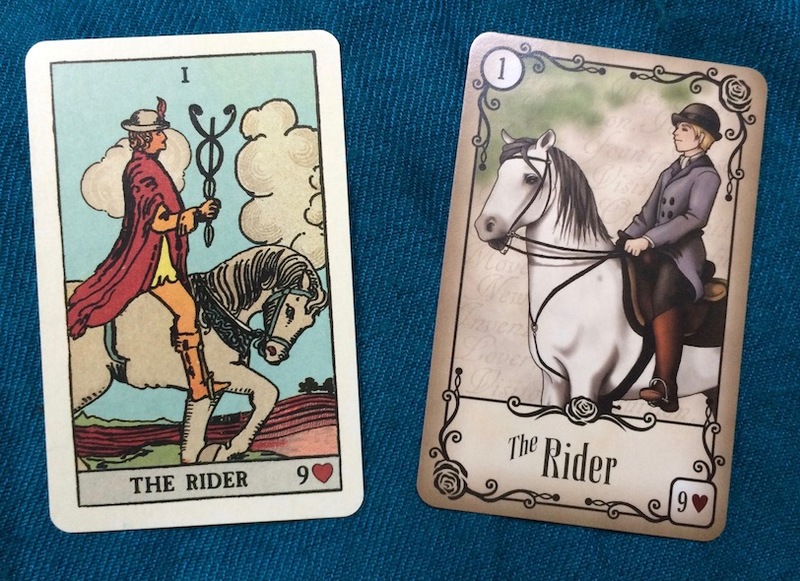 Deft Magicians and Wise Warriors with different interpretations on their vocation (a Wise Warrior is a strategist, for example). 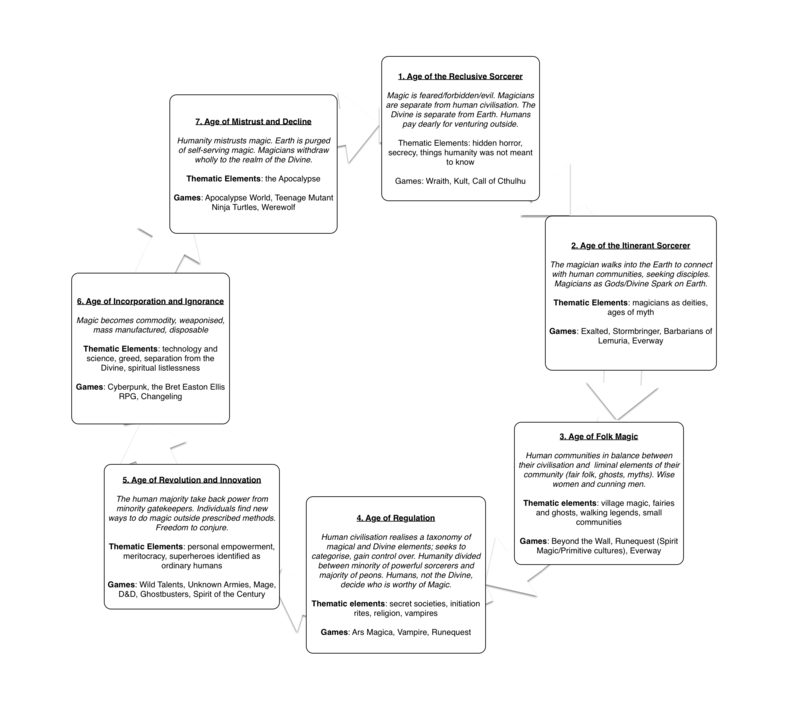 Combining this with the different Group options — everyone gets two groups, which can be vocational, affiliation or even species — the result is almost the antithesis of D&D’s rigidly imposed class structure. 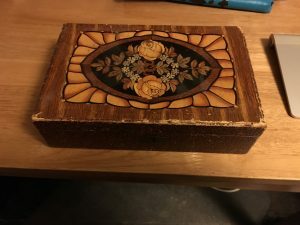 Instead the classes are a starting point and a means to diverge from the traditional classes, while retaining the usefulness of D&D’s experience reward system. Whitehack has a clear message to deliver, and is uncompromising as it is clear. It’s not available as an electronic version — it’s POD only, and the hardcover editions don’t ship outside North America. It’s also completely lacking any artwork — the cover is the character sheet, and the interior is 64 pages long with a few tables and diagrams but otherwise just text. This is a very interesting design statement about both the neutrality of the content (your genre, your emergent setting) and the way the content is to be consumed. If you have a reason for buying something from Lulu and you’re even remotely interested, I would recommend Whitehack. In many ways it’s a deconstruction and reconfiguration of OSR mechanisms that empower both the GM and the players in owning their setting and exploring it in emergent fashion. But even better because it has the trappings of OSR it’s “compatible” with a broad range of sources, and has the potential to plug into other games. Mixing and matching Beyond the Wall/Further Afield (Threat Packs, Playbooks, Scenario packs) with Whitehack seems a distinct possibility with a bit of care. I get a similar vibe that I got with Sorcerer and Sword — and while the latter is more genre-prescriptive, the same principles of ownership of one’s own world, and embracing the emergent nature of that world hold true. At the same time this feels as much like Everway and Over the Edge as it does D&D; and it’s a true “hybrid OSR” approach that marries a player-led narrative with traditional GM oversight. This is my third and final attempt to read Ron Edwards’ Annotated Sorcerer which I backed in 2013, wrote several posts about it, then ran out of steam. I was pretty positive with the original 2001 text, but when it came to the annotations I made a couple of posts and then quit abruptly. I hadn’t even touched the supplements. I don’t like being negative in general, and if I’m talking about a product it’s because it something good to offer. The posts are way too focused on details, not enough of a high-level or holistic view. Also, I’ve since talked with Ron Edwards on social media (not about this game). Maybe it’s foolish of me to admit to that bias, but a lot of my communication for work is impersonal. I don’t want to be impersonal, even if I am a misanthrope. Ending on a low point didn’t feel right. OK, so why didn’t I take to the annotations first time around? Part of the problem was reading the file on my iPad — OK for the original text, but once I started on the annotations it was no good. You need to read the book in the intended print format with the orignal on the left and the annotations on the right. I bit the bullet and killed a tree printing out the text and supplements in A4 landscape, then went through the whole thing making margin notes. I won’t say it transformed my opinions but it removed a significant barrier to the reading process. So, this is my full and final impressions of the original, annotations, and supplements. Here we go. By “author spew” I mean those essays in Vampire and the like that talk vaguely about principles and techniques but don’t offer any real instructions. In truth 5 and 6 change position depending on my mood. I know this is at odds with some designers who say you need to read their book cover to cover. I’ll tolerate that as long as their priorities in writing are the same as mine in reading. The order above is what you need if you’re learning the game as a new skill to be practiced; and yet very often those priorities are reversed. World of Darkness and Nobilis are particularly tedious. I probably have a strong unconscious bias to ignore anything dressed as fiction in a RPG. OK, rant over. Sorcerer gets a lot of the learning priorities right, even in the 2001 form. There are parts where the text gets ahead of itself (e.g. the dice mechanic, which the annotations admits is premature) but overall it does the job. 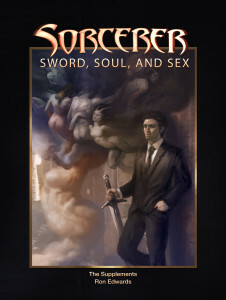 The first three chapters give us premise, how to generate the sorcerer, and how to generate the demons. 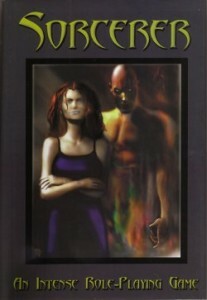 I know from the outset that this game is about people, and people who summon demons, and that’s all I ever really wanted from my urban fantasy games — because the rest of it, the city landscape and the implied connections with other sorcerers (or vampires, or whatever) are things that I can and want to work out on my own. The system is light and functional; what I would call “mid nineties lite”, not surprising as Edwards cites Everway, Over the Edge and Zero. On the Myers-Briggs N-S axis it’s N (that iNtuitive, not Narrative). I strongly approve of Stamina as a physical trait (I wrote this a couple of years ago) and Will as a mental/social one. 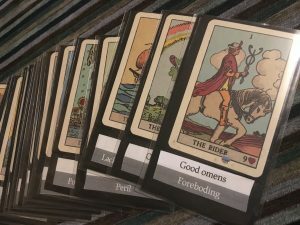 Doesn’t change function, but does challenge preconception about where physical and social competence comes from, and feels particularly appropriate for the sorcerer. Sorcerers aren’t point-and-click sorcerers, they need containers for their powers. I’ve been in love with this idea since I read the Stormbringer RPG (1-3e, not 4e, and yes, I know the game deviates from Moorcock’s books, I’ve read those too). Demon binding is non-binary. Other games will either have you bind the thing and use it like artillery, or fail and it uses you like a suppository. Here, it’s all about the relationship, and what Needs are satisfied. 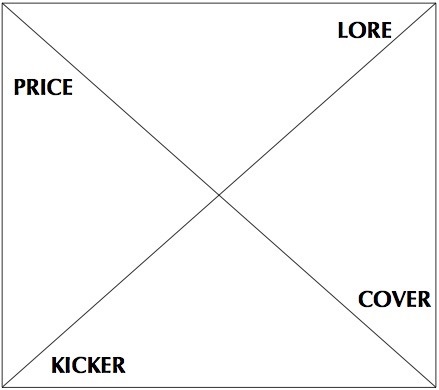 The four-corner Lore-Kicker-Cover-Price diagram is fantastic. I’m a sucker for a good diagram. 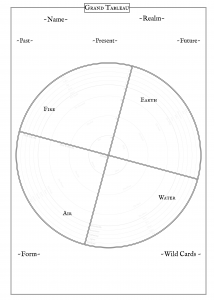 Some of the fan character sheets morph the rectangle into a circle (e.g. here). Looks familiar? No bad thing, IMO. Story Now, Kickers and Bangs: I don’t think these anti-railroading principles were ever new to me, I internalised them a long time ago. But good to see them in print. There are other innovations which are easier to overlook — where something looks like a list of powers it gets mentally filed in the further reading section next to the scenarios: not critical for understanding right now. When there’s something useful mixed up with that content, it will get filed too. 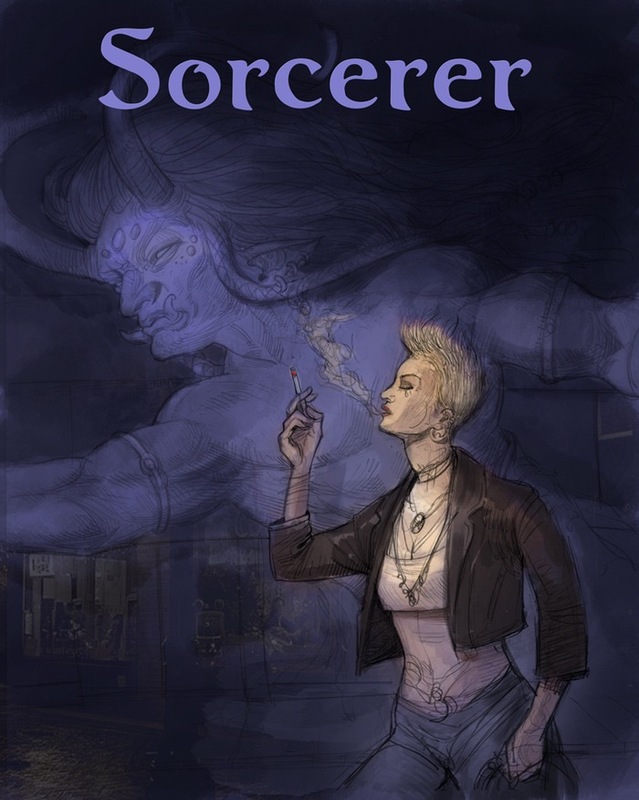 I never expected Sorcerer to be flawless; what I did expect, and what the original delivers, is an answer to the World of Darkness’ disconnect between the game-as-written and the game that we actually played (see here)). places where Edwards says yes, I really meant this or no, I got this wrong or other bits of historical context. If it’s not already obvious, you need to read the annotations in the context of the original text; this is why you need to read the book in the layout suggested. But then I found the whole thing a bit jarring to go from one side to another. Not terribly, for the most part, but not a smooth reading experience. 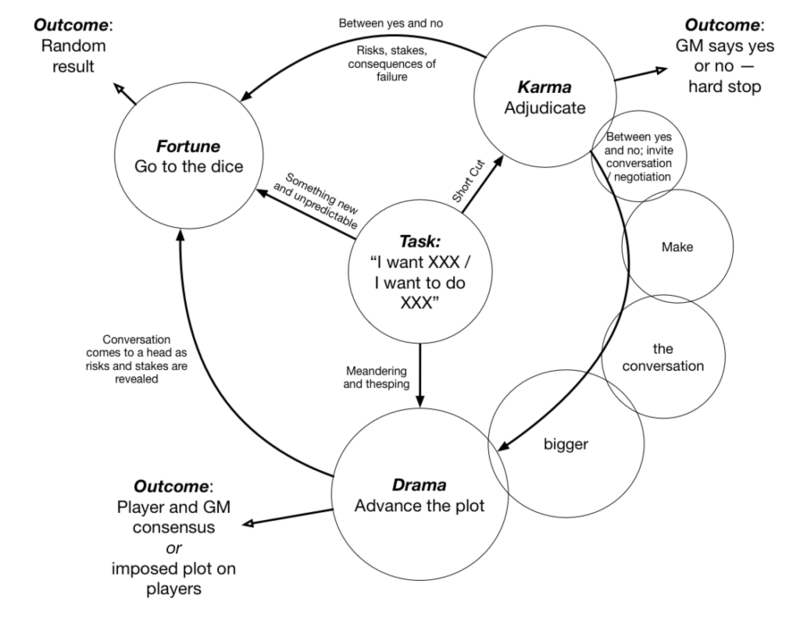 Some of the annotations are great, for example the diagram that faces the start of each chapter and discusses the transition from initial discussion and characters to Preparing Play; this fits really well with my learning expectations (q.v.). 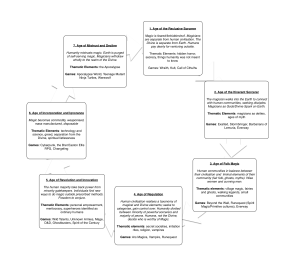 The diagram is discussed on p40. The Four Big Outcomes are talked about further. There are the places where we’re told not to wimp out, which is useful and necessary because left alone we will tend to do this (Chris McDowall addresses this for Into the Odd, and of course Apocalypse World tackles this with hard moves; it’s endemic and pernicious). they do not “cast spells.” Instead, they break the rules of reality to summon beings that are Not Supposed to Be Here. Sounds like the usual spooky things-that-should-not-be fluff, but I know that it’s more significant than that. The key is that it’s not our world’s laws that the fiction breaks, it’s the fictional world’s laws that are broken by the existence of demons. I know this from a podcast interview (I forget which one, it was somewhere noisy, talking about a super-socialist with a demon factory). That annotation belongs right here, it’s important. There is something but it’s much later, in the closing remarks on p61. Easily overlooked, and I found it because I was hunting for it. I got more from the annotations second time around, but even with the printout I was suffering cognitive dissonance on going from one side of the page to the other. Maybe there’s a benefit there, because it forces more careful reading, but I honestly think it hurts comprehension of the game for people who were never there first time around. What the annotations do is illustrate Edwards’ changing views of his own game and the climate that came out of it. 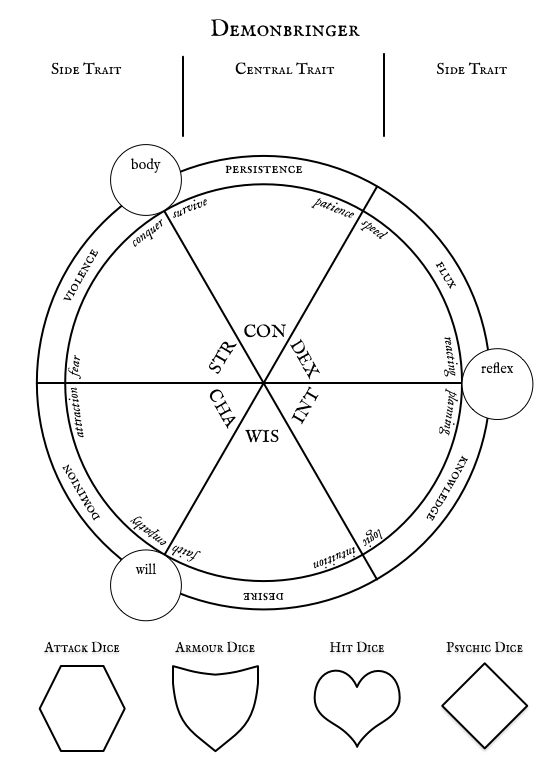 I wrote a couple of times in my own notes “has he changed his mind?” The tone of the original game taps into the hermetic scholar archetype (safe, draws comparison with Mage, etc. 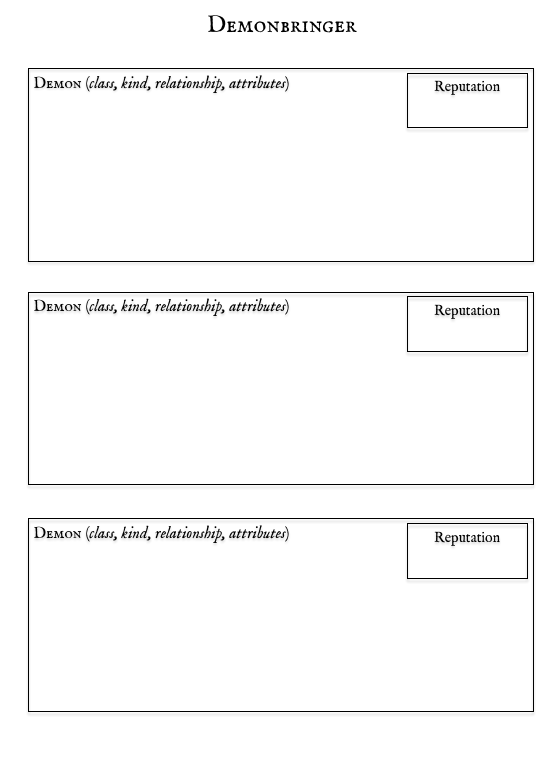 ), but the annotations show the true intent in using “demons” and “magic” as placeholder terms for a particular type of story about relationships and power. Take the “live by the gun” setting in the Playing Sorcerer chapter — if you have a sophomoric robes-and-candles impression of what this game is, that example challenges it forcefully. “Support” is a myth – supplements may be good in and of themselves, but their existence is not required to make an rpg good or to validate its existence. The irony is that while you don’t need to read Sorcerer’s supplements, they massively improve the overall impression of the game. They help make the conceptual leap from this game as rooted in urban fantasy and horror to a framework where demons are an allegorical tool. Edwards’ writing is incisive and focused, getting to the heart of each subject. This is my theory: the original Sorcerer has some radical notions (at least radical on page, if not in the actual minds of players) that require some re-orienting; the Annotated Sorcerer spends a lot of time placing those ideas in context, defending and reinforcing them. But when it comes to the supplements, Edwards is no longer fighting to establish principles and common language, and all that energy can be turned to genre exploration — which incidentally is something he does very well, as well as being right up my street. I do wonder how these supplements benefitted from momentum at the time. I can imagine Sorcerer being the new hawtness, and the supplements benefit from a number of ideas arising from the Forge. Clearly there was a lot of energy for that kind of discussion. This book transitions Sorcerer to a pulp fantasy genre. There’s a fantastic bibliography where Edwards name-checks the usual suspects, and crucially divides it into three eras of fantasy publishing (‘20s to ‘50s pulp including R.E. Howard and Clark Ashton-Smith, ’50s to ’70s pulp fans including Leiber and Moorcock, and the late ‘70s where heroic fantasy was “betrayed” and mostly vanished). 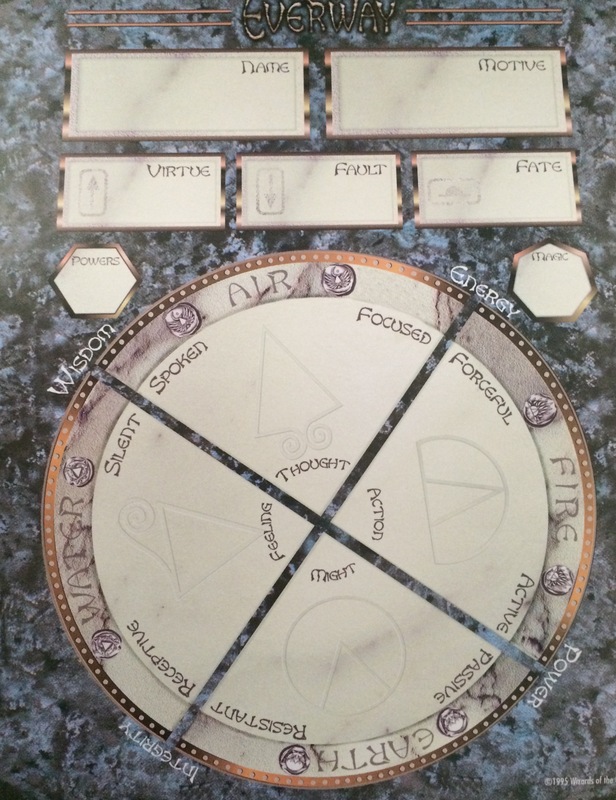 Basically this is fantasy collaborative settings and emergent play, with a method for how to adapt the core rules to take care of necromancy, natural creatures, etc. The genre deconstruction is good, if a bit uncomfortable at first glance, for example the admission that the worlds are typically both objectively racist and sexist and with few female heroes. That’s not endorsement, it’s something to be sensitive to and work with. 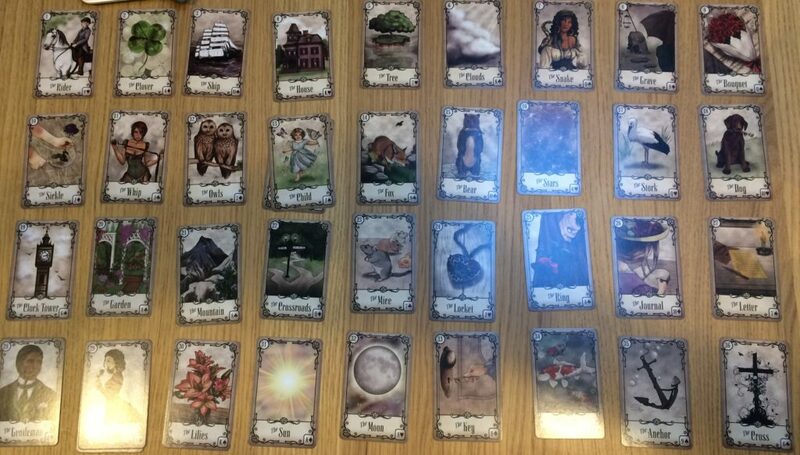 Three examples of emergent shared worlds run through the book (Xar, Black Forest, Clicking Sands) and are used to demonstrate the grounding principles for Lore, Humanity, colour and tone that you need to think about. All in all this is my favourite of the three, the supplement I read and thought “hell yes, I want to run this”. Other features: a discussion about destiny and knowing the future, and the analysis of “stance” (actor, author and director) which I read in isolation as a Forge essay. This is the in-depth treatment and interpretations of humanity (as sanity, etc. ), and the modern investigative genre. Here, Edwards is going after both Call of Cthulhu and Vampire. There’s a lot of discussion about transformation and growth of demons, human-demon hybrids (in the sense of transitioning identity, not in the “I’m half fairy in our twee urban fantasy” sense). The section on Angels where the binding relationship is reversed (it’s the Angel meeting the Needs of the sorcerer) and where Angels can intercede and bestow “grace” is also great. Edwards also deconstructs some investigative novels for the relationships within as a means of mapping transgressions. While I only skimmed this part (it’s a scenario exercise in my priority ladder) it was a useful point. With the demonic transformations, the primary use I considered was to retool it to run Nephilim. The spirit inside begins as a parasite, then posesser, and finally passer, with an increasing number of telltales. This last one is a bit difficult to get to grips with in a way that won’t give a negative impression. It’s about a number of topics — gender and gendered stories, transgressions, dysfunctional relationships. It also explicitly discusses Lines and Veils which tends to be a commonplace term whose origins are not well known — I assume it came from the Forge and was then clarified here. When I first began hinting about this on-line, oh, you wouldn’t believe how many people clutched their hair and alternately grieved and swore how intolerable and insupportable any such thing would be. They had immediately assumed that these rules would dictate what either gender of player, especially the female one, would not be permitted to do. However, the goal is exactly the opposite. 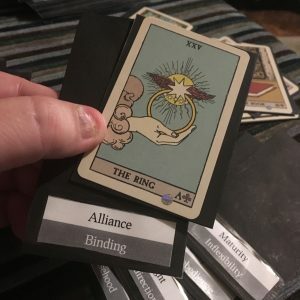 I’m aiming at more attention and enjoyment to various options during play, not less, as only cross-character interactions among players of different genders will reveal the full range of the rules. 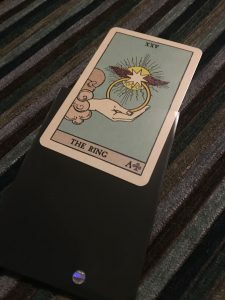 what I’m presenting are not the male and female story types, and frankly, they have nothing to do with Jungian or similar “archetypes.” They are, instead, just two types of stories, plucked out of the myriads of potential types. They typically have male and female protagonists, respectively, but even this is not a given, and I see no reason to think that each story type “validates” the gender of the protagonist. Using more neutral language, “male” stories are focused on power through social contact, and “female” stories are power through affirmation or rejection of reproduction. Also, the gender of the hero in each type of story has significance, and reversing the gender has an influence. What turns these from story themes to a game is how you interpret the humanity check — as is the general case. I think I’ll leave it at that, and encourage anyone who is interested to engage with the text first, then discuss. I encourage you to read Sorcerer and if you do, I really recommend reading the supplements as well. I think I would print and read the original (a pain to set up the printer, but OK), then the supplements, then come back for the annotations. Trying to read the annotated version as a complete document from a standing start was two different authors speaking to me at once. Now, the question is, who are the annotations for? Primarily I think it’s Old Forgies, who were there 10-15 years ago when Sorcerer was a hot topic; they’ve been through the process of dissecting and interpreting and crucially playing the original. While Sorcerer railed against the cultural inertia in RPG design (over-focus on setting, metaplot, product line support) the trend of here and now persists in Indie RPG culture, particularly where Kickstarters include an active playtesting component with community involvement. That’s a statement of fact rather than criticism. 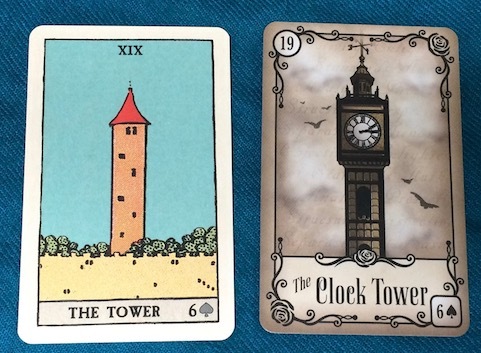 Those games will go through a peak of activity where the game is both explicit (rules as written) and tacit (game as communicated), and over time the tacit understanding is lost as players diminish, and all that will be left is the written word. The Annotated Sorcerer captures at least some of that tacit, behavioural stuff. That’s its value, as a thing, a roleplaying cultural artefact. But Sorcerer IMHO needs complete reading in chronological order to be fully appreciated. Am I glad I made the effort? Yes. I expected it to tick all of my post-WoD, 90s minimalist system, intense urban fantasy boxes, and it does, and more. This is a game I would run, which I don’t say often.